Murali Nair was born in a little village in the centre of Kerala, the most southern and politically active state in India. He has a passion for politics and makes several journeys through rural India after finishing his university studies in geology. After a brief course at Institut Xavier de Communication in Bombay, he becomes part of the Bombay film industry as assistant director. He develops his experience there before directing his first short film Tragedy of an Indian Farmer in 1993 which won a national prize in India. 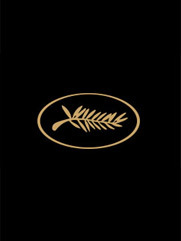 He then shoots two other short films: Coronations in 1995 and A long Journey in 1996 which is selected for Cannes in the category short films in competition. In 1997, he moves to London and sets up the Flying Elephant Films production company. He starts to make programmes (principally about youth of the world) for British television, with his wife Preeya. His first feature, Marana Simhasanam (Throne of Death) wins the Caméra d'Or at Cannes in 1999, and the second, Pattiyude Divasam (A Dog's Day) is also presented in competition at Cannes in 2001. Currently, Murali Nair is producing a series of youth programmes for British television and working on the screenplay of his next feature. "What can I say? I love first films and find them very stimulating. They are films that convey true passion."